Our Hika Tourism App goes on tour with you! On arrival at your destination the Telco Ping will allow you to download your Hika Tourism App then book your data plan online through Hika Kia Orana. We combine language, culture & tourism into a single platform that connects you with any tourist operation you wish to make a booking with. This fast, intuitive app will allow you to communicate directly as languages connect people. It’s fast to download and it’s fun and easy to use. Book a cruise & tour, go shopping, book a rental, book dinner, ask for help, ask for directions, even make a date and much more. Hika Kia Orana provides a link between the Tourist native origin and the spoken language of their chosen destination. The first release converts authentic English, Chinese, Japanese, German, and Italy to Cook Islands. An authentic translation at your fingertips that speaks in 11 chapters with over 8,000 phrases that covers all tourist activities that we have researched. Select your chapter and sub chapter by sliding the 4 coloured tiles left and right you can create and build your own phrases in English. Then by touching the play button on each tile you listen to each phrase and learn to pronounce it correctly. By touching the person icon below you can listen to the translation in either a Male or Female voice. The play button below allows you to listen to the entire phrase. 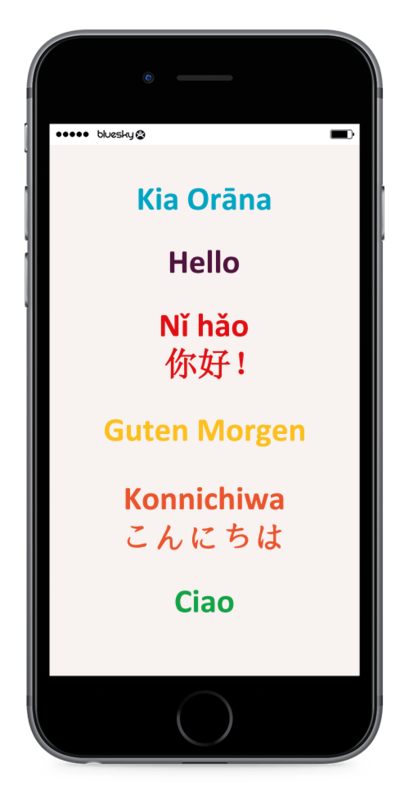 This exciting new tool also allows you to send a message via txt or email in both languages chosen. Each Visitor from China, Japan, Italy and Germany will see their Chapter page in their native language. Once Hika Kia Orana has been downloaded you will not need to be connected. No roaming is required. 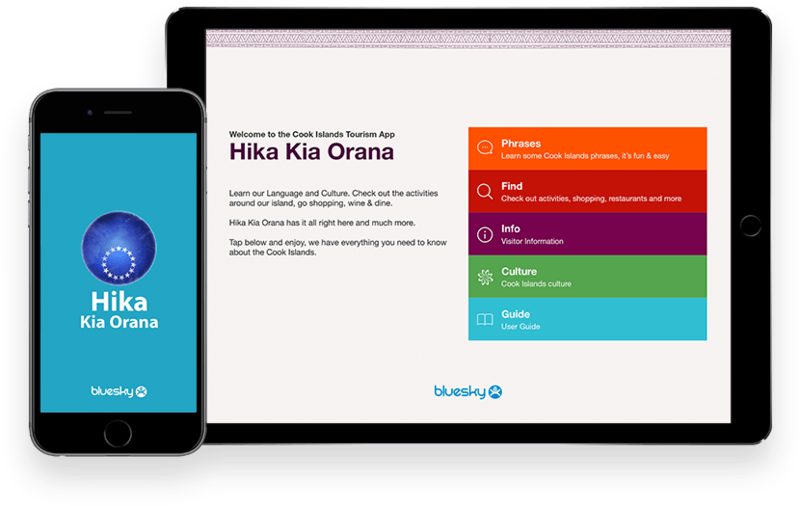 You could be travelling to the Cook Islands or downloading Hika Kia Orana at the airport, where ever you are, while visiting the Cook Islands you can learning everything you need to know about our beautiful paradise.